Our NFL Draftee marketing, done with the sole purpose of increasing your value, is the most in-depth, comprehensive and impressively packaged visual and statistical data on the market. Making you the most attractive draftee option to NFL teams is our number one priority. Below, you'll find links to information that you and your family should have before you make any decisions about representation. Yo Murphy / Performance Compound (Tampa, Florida), and ​Loren Landow / Landow Performance (Denver, Colorado). Both deliver individualized training programs tailored to the needs of each athlete and their respective goals. Both are aligned with our view of performance as a multi-faceted discipline, which requires detailed programming in order to achieve desired results. The focus of the combine training programming is on identifying and fine tuning areas of strength and weaknesses, while improving performance, and decreasing overall injury potential. In addition, both offer unique opportunities environmentally. At Performance Compound, athletes will train in the more hot and humid environs of Florida; while at Landow Performance, athletes attain the benefits of high altitude training favored by most Olympians and other elite athletes. 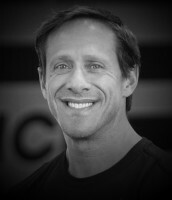 Coach Landow is highly sought after for his ability to analyze and correct biomechanics. His goal is to maximize human performance, while decreasing the likelihood of injury. He has trained thousands of athletes of all ages and abilities, including over 700 professional athletes in the NFL, NHL, MLB, UFC, WNBA and Olympic medalist. Coach Landow has worked with over 70 NFL All-Pro’s and over 20 first round draft selections in the NFL. He has been a National and International presenter for the leading organizations in the performance field, and also serves as a consultant for many professional and collegiate teams across the country. Coach Landow developed the ACL prevention program and the ACL return to sport protocols for the world-renowned Steadman Hawkins Clinic-Denver. Yo played college football at the University of Idaho where he was selected for the All-American Team and was later inducted into the university's first Football Hall of Fame in 2009. 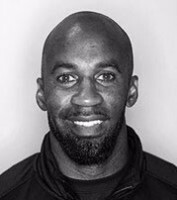 He combines 15 years of experience as a collegiate and professional football player, plus expertise in strength and conditioning to get athletes of all ages physically fit to perform on a competitive level. Yo had a long and rewarding career in the NFL Europe, Canadian Football League, and the National Football League. ​Yo's seven‐year NFL career was spent with the Tampa Bay Buccaneers, Minnesota Vikings, St Louis Rams and the Kansas City Chiefs. His NFL career culminated with an NFC East Championship with the St. Louis Rams and Super Bowl XXXVI for the St Louis Rams, where he returned the opening kick‐off for 40-yards.